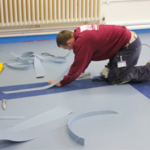 Looking for high quality flooring materials at the very best prices? N&S Flooring Offer All Major Brands! Forbo, Altro, Polyflor, Interface, Burmatex, Danfloor, CFS, Ardex, Laybond, F Ball, plus many more! Just call us with your requirements and we promise to give you the best available deals, delivered at your convenience to your home or business. The best place to start! let N&S Flooring visit you in the comfort of your own home, weather its at your business, your school, hospital, university, wherever or whoever you are! just ask and we will be there. Our expert surveyors are trained to accurately measure your areas, and if required advise you on the best products to suit, we also bring free samples! Our skilled trained team of floorlayers are here to install your Carpets, Carpet Tiles, Non- Slip & Safety Flooring, Linoleum, Amtico, Karndean, Laminate Flooring, Engineered Wood & Solid Wood Flooring, you name it! we can install it! NVQ Trained, CSCS Qualified, NCRB checked & Police Vetted! Call Us Today To Book a Measure! 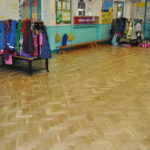 With the very latest high quality 'Bona' Foor Sanding equipment and time served craftsmen wood floor specialists N&S Flooring have a reputation for producing the finest wood floor finishes, so if you are looking to have your School Hall, Community Centre, Or any other type of wood floor refurbished give us a call! 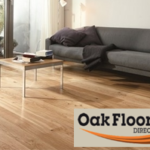 Looking for High Quality Laminate Flooring, Engineered Wood Flooring, Solid Oak Flooring or Wood Blocks? lots of our customers were! so we decided to set up a company with wood flooring experts and the largest range of high quality wood flooring products to give our customers the best possible experience, you can view all of our products online, and have them delivered FREE. N&S Flooring acquired the renowned Cameron Lee Carpets brand in 2013, To offer our clients the best possible retail experience, when selecting floor coverings for their own homes. 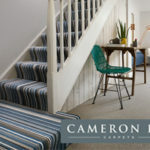 Cameron Lee have showrooms at 91 Henleaze Road, Bristol, BS9 4JP & 42 The Mall Clifton Village, BS9 4JP, offering the finest selection of top quality carpets, natural floor coverings, Karndean & Amtico Flooring. They also offer with a FREE no obligation home visiting and sampling service.